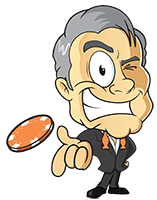 Some say he is a myth, others say he is a legend, but what Casino Veteran really is an expert on all things in the casino industry. While checking out a variety of casinos doing the rounds, he came across Red Spins and decided to take a closer look. 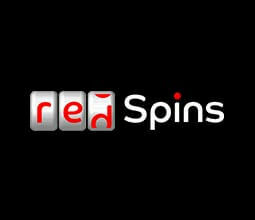 Established in 2018, Red Spins Casino caters mostly for UK and European players. They are licensed and regulated by the Gibraltar Regulatory Authority and the UK Gambling Commission. As a result, they are able to offer all customers secure services and fair treatment at all times. Players have a wide range of games, including more than 200 slots, from which to choose and are given easy access to all of these games via clear category links. Customer support is equally important to Red Spins as quality gaming is, which is why they offer support via email, telephone and live chat. Their email is open 24/7, but unfortunately, their live chat and telephone support are only available between 08:00 and 00:00 GMT. 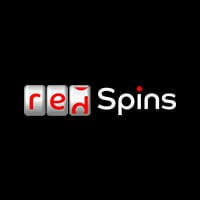 With ample bonuses and promotions, it is easy to see why Red Spins has made a name for themselves in such a short period since their launch earlier this year. Red Spins is passionate about their mobile gaming platforms, as they aim to make their online services an experience that can be enjoyed everywhere and at all times. Along with the desktop option, their facilities are available on Android mobile phones and tablets, as well as iPhones and iPads. The mobile versions are not limited in any way and provide the same access to all games at the same quality as the desktop version. In order to offer the above mentioned spread of games, a number of the biggest tech companies in the gaming industry are suppliers for Red Spins. A casino review would not be complete without trying a few of the features out. While browsing, Casino Veteran found that the website offered clear guidance as to where to find exactly what he was looking for. The response time of each link was also speedy and proved to be convenient. After scouting the platform, Casino Veteran opened an account, received his lavish bonus and began playing. Since Starburst is currently the most popular slot at Red Spins, he decided to go with that. What was his Red Spins experience like? Simple, interactive and fast-paced with few to none speed bump situations. As promised, he was able to enjoy 50 free spins on the Starburst slot and found it to be an enjoyable gaming experience. Between the user-friendly site and extensive range of choices, Casino Veteran can happily say he’d be willing to return for some more game time.